It’s the last round of the Momentum One Day Cup before the competition takes a break and the T20 stuff begins. 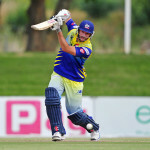 A desperate Titans side knocked over the previously unbeaten Cobras in Centurion on Friday night. Friday night will once again see a full round of fixtures in the Momentum One Day Cup. The wheels on the Cobras machine kept rolling as they beat the Knights by 73 runs at Newlands on Wednesday night to secure their spot at the top of the Momentum One Day Cup table. 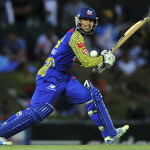 Justin Ontong powered the Cobras to their third victory on the trot to see them sitting pretty on top of the Momentum One Day Cup log. All six teams will once again do battle on Sunday to complete the second full round of fixtures of the weekend in the Momentum One Day Cup. The opening pair of Morne van Wyk and Cameron Delport made history by putting on 367 for the first wicket in their match against the Knights in Bloemfontein on Friday. 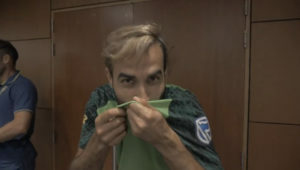 A full round of the Momentum One Day Cup will take place on Friday evening with the match between the Lions and Titans in Johannesburg being televised. A full round of fixtures over the weekend saw the Dolphins, Cobras and Lions get their Momentum One Day Cup campaigns off to a winning start. The Cobras produced a complete performance to beat the Knights by seven wickets in Kimberley on Saturday night. 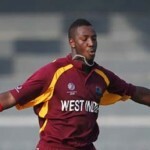 The Knights franchise have contracted West Indies all-rounder Andre Russell for the 2015 Ram Slam T20 Challenge. 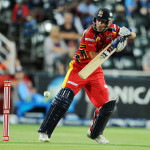 The Knights and Cobras will get their One Day Cup campaign under way in Kimberley on Saturday. After the second round of Sunfoil Series matches, Rudi Second of the Knights and Hardus Viljoen of the Lions lead the most runs and most wickets taken, respectively. Here’s a list of who has shone brightly in the competition so far.